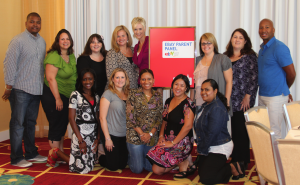 As a member of the eBay Parent Panel, I had the pleasure of traveling to Orlando for the eBay on Location event earlier this month! 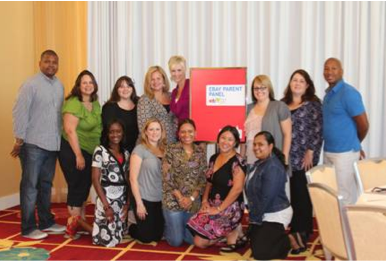 It was great to meet so many of the awesome ambassadors, the PR team, and so many eBay employees and eBay sellers! We had lots of fun, but did a lot of learning!! No, really, a lot! In fact, I have over 20 pages of notes in my little notebook!!! 1. Anyone can sell on eBay! That’s the beauty of it–you can just get right in there & get started making some $$$$! 2. But, with that said, there is a definite learning curve to becoming a successful seller! Start small. For your first few items, try something you’re ok with not getting as much money for. So, start with items that aren’t a high dollar amount and don’t have a high emotional connection for you! Do some research. eBay has a “Getting Started” page, plus an entire Seller Infor­ma­tion Cen­ter on their site, which should definitely be your starting point. Make sure to review the seller policy pages to avoid making costly mistakes. Once you’re ready to list an item, check the eBay listings to see what similar items have recently sold for so that you price your item competitively! Quality over quantity. Don’t list too many items at first. Start with one or two items (maybe three at most), to learn the process & figure out how to optimize your listings. Think like a buyer. If you’re not familiar with eBay at all, it might be best to start as a buyer. But, even if you’ve never purchased anything through eBay before, you can still apply your “buyer brain” to selling your items. What kinds of things are you drawn toward? What would you buy? What would make you more likely to buy an item (great pictures? low price? free shipping?)? Keep those things in mind as you make your listing. What’s YOUR expe­ri­ence with eBay? Dis­clo­sure: My par­tic­i­pa­tion as an eBay Par­ent Panel ambas­sador is a com­pen­sated posi­tion. Thus, my eBay-related posts are spon­sored by eBay. How­ever, as always, all opin­ions and expe­ri­ences are my own. “Think like a buyer” — best advice ever!